The number of young people out of work in Cambridge has dropped by almost a third in the last year. 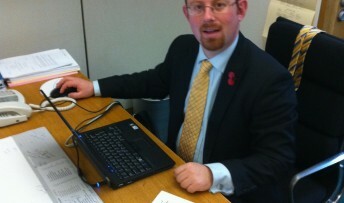 MP Julian Huppert welcomed the news after year-on-year figures showed that there were 250 young people aged between 18 and 24 claiming Jobseekers’ Allowance last month, 120 lower than the same period last year. And unemployment generally has fallen by 427 over the last year to 1,186 last month, just over two per cent of the working population between 16 and 64. The number of long-term claimants – those who have been out of work for more than 12 months – also fell by 90 in the last year to 290. “Clearly we still have some way to go in getting people back into work and finding new opportunities for our young people and it is tough for families and those still struggling against unemployment. I hope that these latest figures will give them renewed hope and that their fortunes will turn round soon,” added Julian.